Aston Martin CEO Dr. Ulrich Bez piloted the partial zero-emissions car for the first time around the Nordschleife circuit. Bez’s hydrogen-powered lap was used as a test-run. The official zero-emissions record attempt is schedule for three weeks from now. It’s interesting, however, that it’s called a zero-emissions lap, as the hybrid hydrogen vehicle isn’t powered solely by hydrogen. “The Rapide’s 6.0-litre, twin-turbo V12 has been tweaked so it can run on any arbitrary combination of the two fuels or either one solely,” according to an Autocar report. If you’re wondering how an internal combustion engine could run on fuels as different as hydrogen and gasoline, it’s quite simple, really. Hydrogen has the octane equivalent of around 130. Most racecars run on gasoline rated at around 110 octane. So advances in engine technology and on command timing variability allows the two fuels to be burned together or in succession. Performing flawlessly, the hydrogen vehicle, which was built in conjunction with Alset Global, has now set motorsports history. 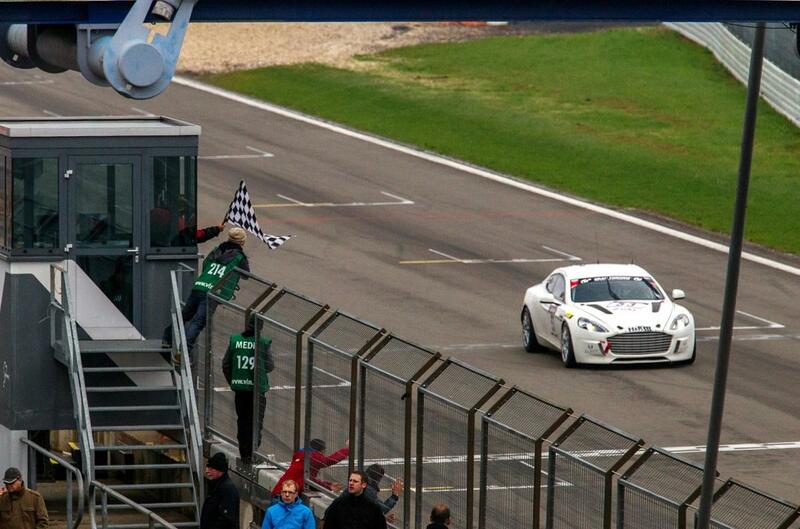 Next up for the hydrogen-powered Aston: the Nurburgring. There, the Hybrid Hydrogen Rapide S will compete in the E1-XP experimental class of the Nurburgring 24 Hours race, which is scheduled for May 19 and 20, respectively.